DETROIT (Reuters) -- Toyota's safety recall crisis has helped topple the automaker as the U.S. champion of customer loyalty, allowing Honda and Ford to leapfrog to the top spots, Consumer Reports said. 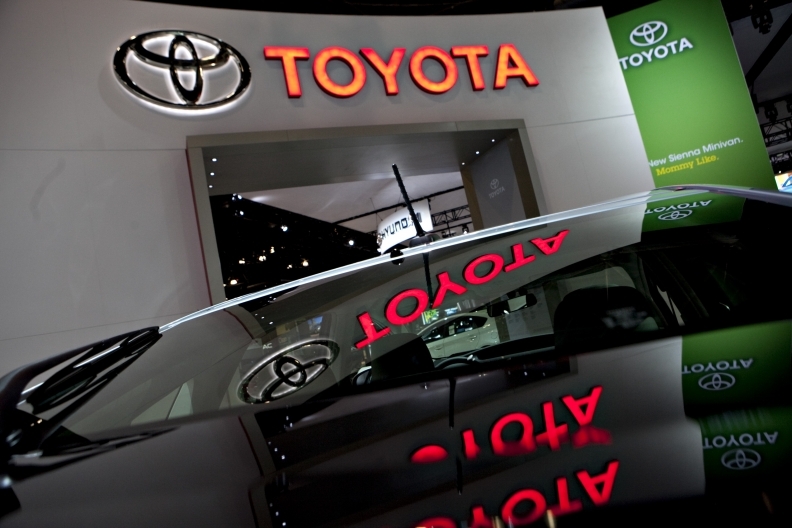 An April survey by the nonprofit publication showed that 57 percent of current Toyota owners would "most likely" buy another new vehicle from Toyota Motor Corp., down from 70 percent in a December survey. The result suggests Toyota may face pressure to extend costly sales incentives to win back U.S. consumers and prevent its market share from slipping. More than half of consumers surveyed said the "overall reputation" of an auto brand was the leading factor in their choice of a new car, the magazine said. Consumer Reports said Honda Motor Co. was tops in owner loyalty in April, with 68 percent of its owners saying they would return to Honda, up from 67 percent five months earlier. Ford Motor Co. also has a higher percentage of customers who would return to the brand -- 61 percent in April versus 58 percent in December, the survey said. The Chevrolet brand, which accounted for almost two-thirds of General Motors Co.'s U.S. sales last year, fell to 49 percent in terms of customer loyalty from 57 percent in December, the survey showed. Rounding out the top five top-selling brands in the U.S. market, Chrysler's Dodge polled at 24 percent customer loyalty, down from 32 percent in December. Chrysler is under the management of Fiat S.p.A.
Toyota's sales fell in January and February while their competitors showed increases. By March, Toyota began offering the largest sales incentives in its history and largely extended those discount offers through the end of May. Toyota sales rebounded in March and April as customers took advantage of the incentives, which include zero-percent financing and up to $1,500 cash back for its top-selling Camry sedan. The cash rebate on a Tundra pickup truck is $4,000 in some regions, and there are low leasing rates for many models. Consumer Reports said the results were based on a telephone survey of 1,704 U.S. adult vehicle owners conducted in April.